Look closely at this screenshot below…. 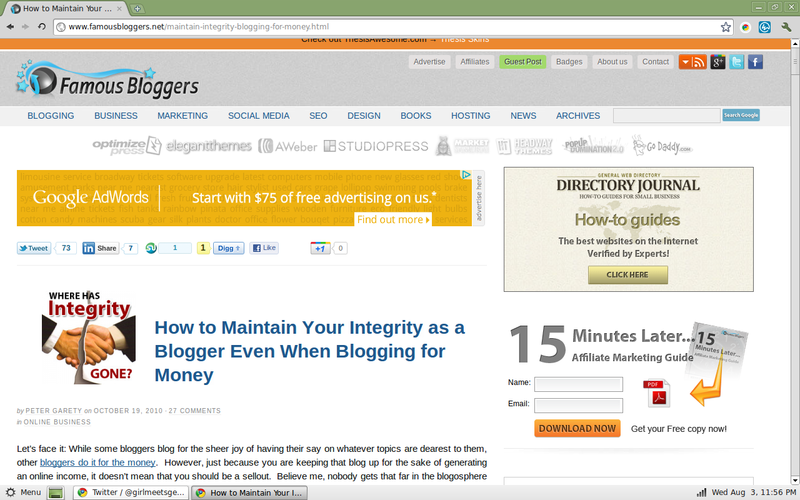 This was a post about "Maintaining Your Integrity," while blogging. In 2010, the article, “How to Maintain Your Integrity as a Blogger Even When Blogging for Money,” showcased an important point last year on how far one might go to sell-out. The problem was… they sold out. .... they didn't cite the photo? Seriously? …..But, it was about INTEGRITY. Have you ever clicked on a website and couldn’t read the content because the image next to the headline captured your attention more than the paragraph, itself? I’ve seen it in smaller brand blogs, but never a larger brand until recently. This afternoon, I clicked on an article about branding from @CareerBuilder. Routinely, I’ll recommend their articles or forward on to job seekers and clients. When the page opened, all I could see was something utterly unappetizing. Career Builder recently wrote an article entitled, “Recruiters Without A Personal Brand Risk Extinction.” Originally they had another image in the article. A few people commented about the very disturbing graphic. (Warning: It’s awful.) Scary would be an understatement, as the blood on the teeth and dripping down the (hopefully fake) fish was too much for my stomach. A clear and heartfelt apology. Humor. Wit…. Stephanie had it all. How their Director of Social Strategy handled this situation commanded respect. How great she was at it, caught my eye. One article failed, another won. 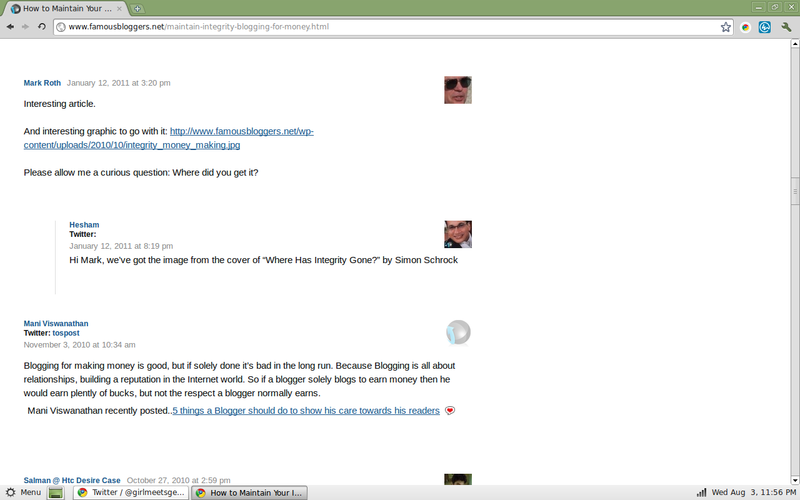 It’s another day in the Blogosphere. I would love to hear, what examples have you seen lately of a company reacting poorly or well to feedback on an article?